Welcome to Church of the Rock! We are one church in many Locations. Learn more About Us! If you’ve never been to a service at Church of the Rock, you might want to take a look at the answers to some of the Common Questions we’ve encountered. 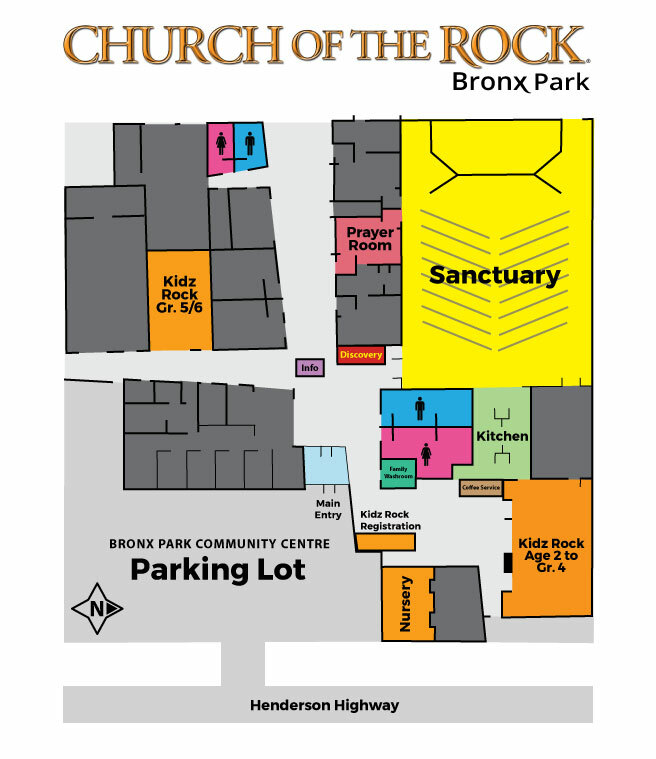 Our Bronx Park Campus is merely the same church at a different venue, including live music, site pastors, KidzRock and a warm welcome for you! The sermon will be the same at all locations most weekends – at Bronx Park it will be watched on the big screen. If you’ve never been to a service at Church of the Rock, you might want to take a look at the answers to some of the Common Questions we’ve encountered. 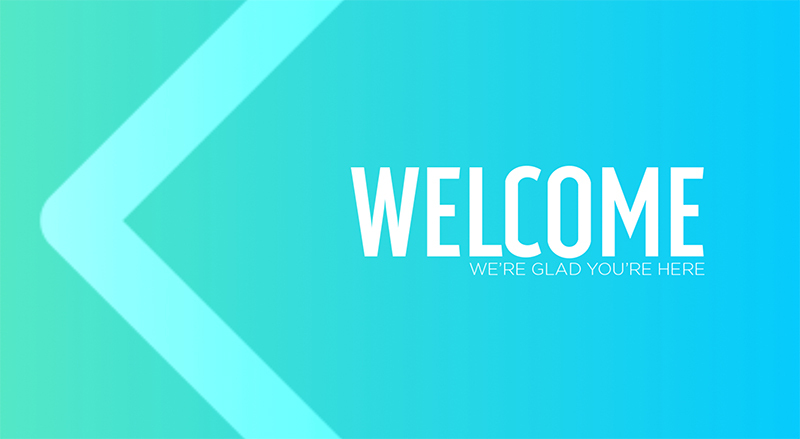 Our Niverville Campus is merely the same church at a different venue, including live music, site pastor, Kidz Rock and a warm welcome for you! The sermon will be the same at all locations most weekends – in Niverville it will be watched on the big screen. If you’ve never been to a service at Church of the Rock, you might want to take a look at the answers to some of the Common Questions we’ve encountered. Our North End Campus is part of the same church at a different venue, including live music, site pastors, KidzRock and a warm welcome for you! The sermon will be the same at all locations most weekends – at North End Campus it will most often be watched on the big screen. *Please note that we usually have the same sermon at each service during a weekend. Formal childcare is not available on Saturdays, although the self-serve nursery is open. If you’ve never been to a service at Church of the Rock, you might want to take a look at the answers to some of the Common Questions we’ve encountered. 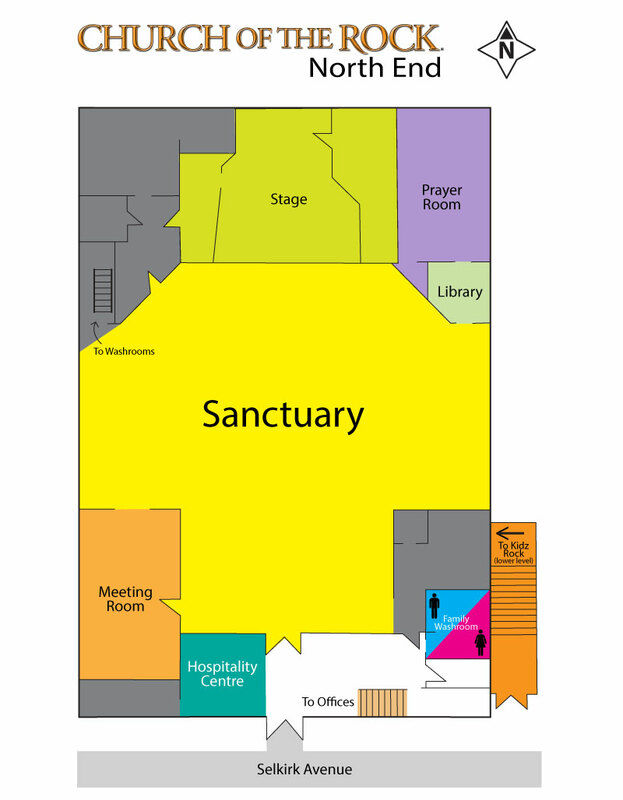 Our Winnipeg South Campus is merely the same church at a different venue, including live music, KidzRock and a warm welcome for you! The sermon will be the same at all locations most weekends – at Winnipeg South the sermon will be preached live each weekend. If you’ve never been to a service at Church of the Rock, you might want to take a look at the answers to some of the Common Questions we’ve encountered. 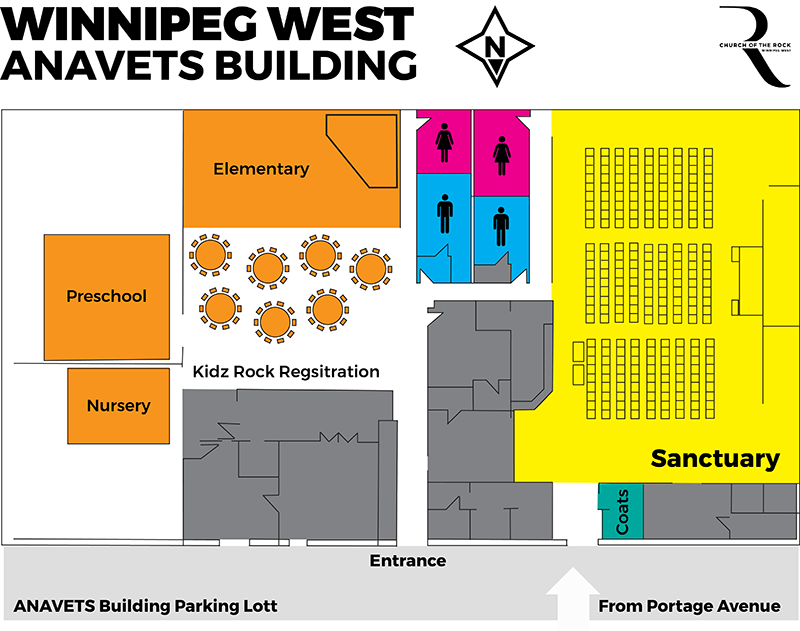 Our Winnipeg West Campus is merely the same church at a different venue, including live music, site pastors, KidzRock and a warm welcome for you! The sermon will be the same at all locations most weekends – at Winnipeg West it will be watched on the big screen.